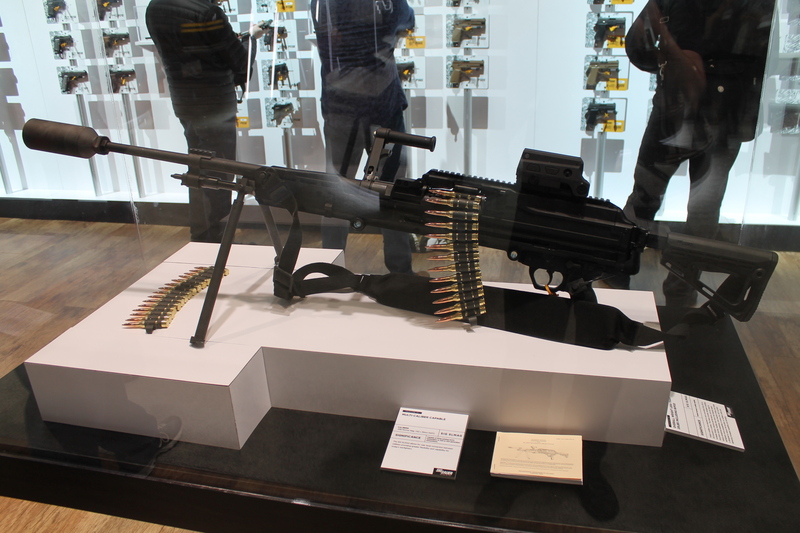 Last post from SHOT and one of the weirdest ‘new’ firearms I’ve seen in a long time. This is an early prototype ‘MARS Rifle’ from a company called MARS inc. and it’s a strange beast to put it mildly. For starters if you don’t know how long recoil works in a firearm be sure to check out the very recent upload on Forgotten Weapons that covers the operating principle. Talking to the inventor of the rifle was certainly interesting, he claims this rifle has essentially no recoil at all in 762 NATO and there’s a very short and rather low quality video clip on www.marsrifle.com that apparently is a demonstration of that fact. This thing is the combination of a sort-of long recoil action combined with a gas system, as opposed to standard long recoil that purely uses the rearwards force exerted on the back end of the cartridge case to cycle the working parts. 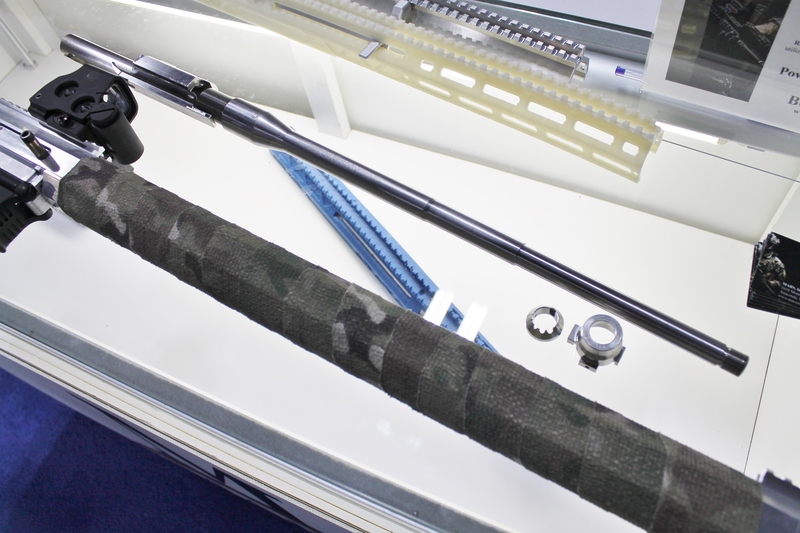 You can see the barrel and the bolt carrier the system uses above the prototype rifle here. The shroud that the barrel rides in was wrapped up and apparently what ever lies beneath there was confidential with no pictures allowed, so I’m not exactly sure what the deal is there. 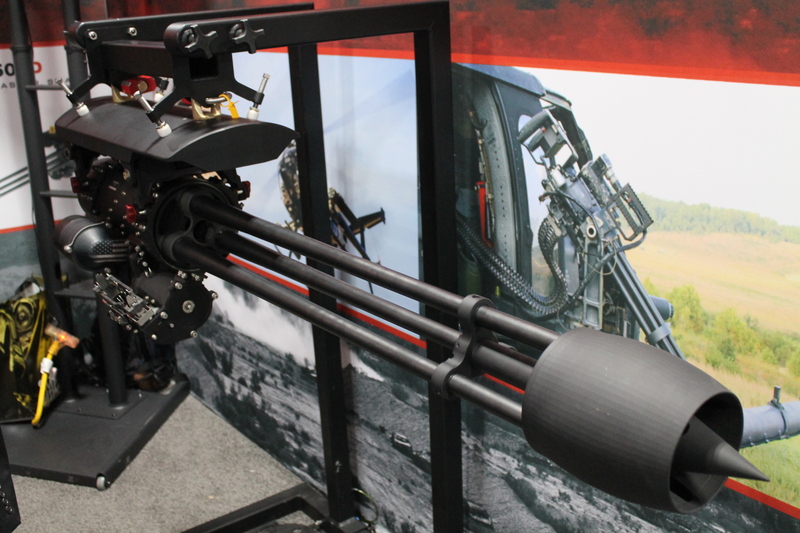 The gas system is somewhat reminiscent of the one used on a few other designs to include some self loading shotguns whereby the gas comes out of and flows around the barrel, pushing on a ring shaped piston that also fits around the barrel (or mag tube in some shotguns). The really odd part is that traditional long recoil is known for having more kick than a standard gas operated rifle because you have the mass of both the barrel and bolt moving backwards versus just the bolt alone. I can only presume the gas system somehow slows the stroke of the moving parts and soaks up a lot of the recoil if the weapon functions the way MARS inc. claims it does. 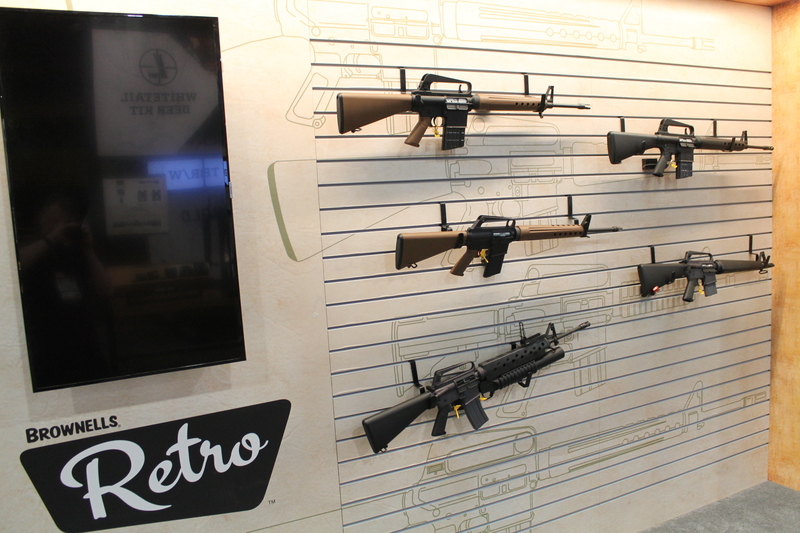 The lower receiver is basically standard AR variant as you’d expect and MARS say they’re showing this gun to the US Army as a potential replacement for the M16/M4. Given the amount of moving parts I asked if they had conducted any dust/endurance testing in adverse conditions and they said not yet. Will this thing go anywhere? Who knows. I hope it does progress further purely because I’m curious and I’d like to know if the claims stack up in reality.